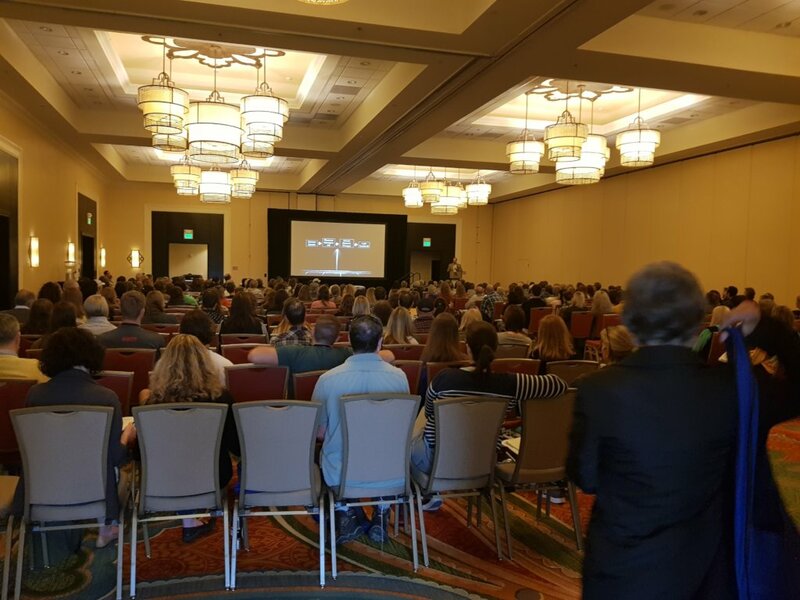 Last week Sabine Berendse and Ard Vreugdenhil represented Sea Turtle Conservation Curacao during the 39th International Sea Turtle Symposium in Charleston. 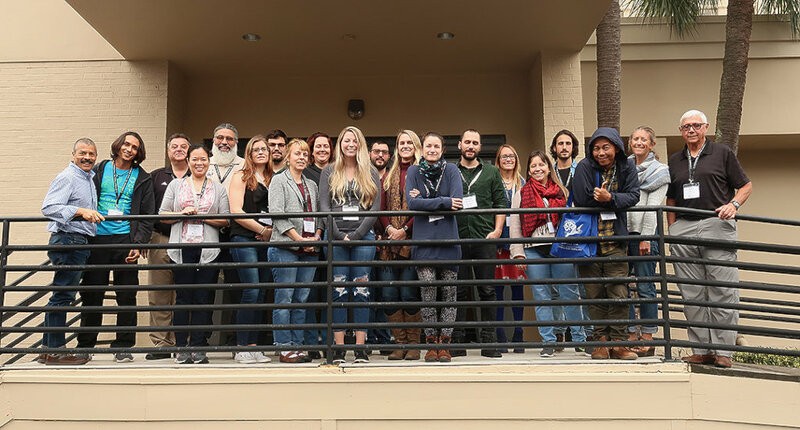 They participated in 6 workshops, presented in 3, showed the music video “Can you see” which was made at the beginning of 2018 and was a collaborative project with a dozen local artists. Sabine Berendse also presented in the “Future of Conservation” session. The presentation in the “Future of Conservation” session about ‘effective conservation through collaboration with precious plastic initiatives’ was candidate for the Grassroots Conservation Award (GCA). 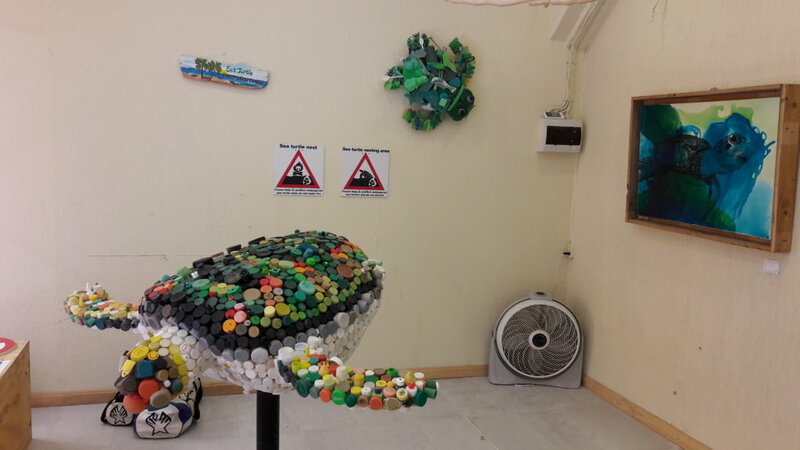 The criteria is that the presentation demonstrates a positive contribution by a grassroots group or individual towards conservation of marine turtles and their habitats. In her presentation Sabine showed that a collaborative approach with the Precious Plastic community, which counts 40K members worldwide, can make huge global impact on reducing plastic pollution by taking local action in repurposing post- consumer plastic. Reducing waste stream output by stimulating circular economy systems can prevent plastic from ending up in the ocean. She showed several product possibilities and for her presentation she wore a meaningful dress from label dresscode010, which is made out of 17 recycled PET bottles. 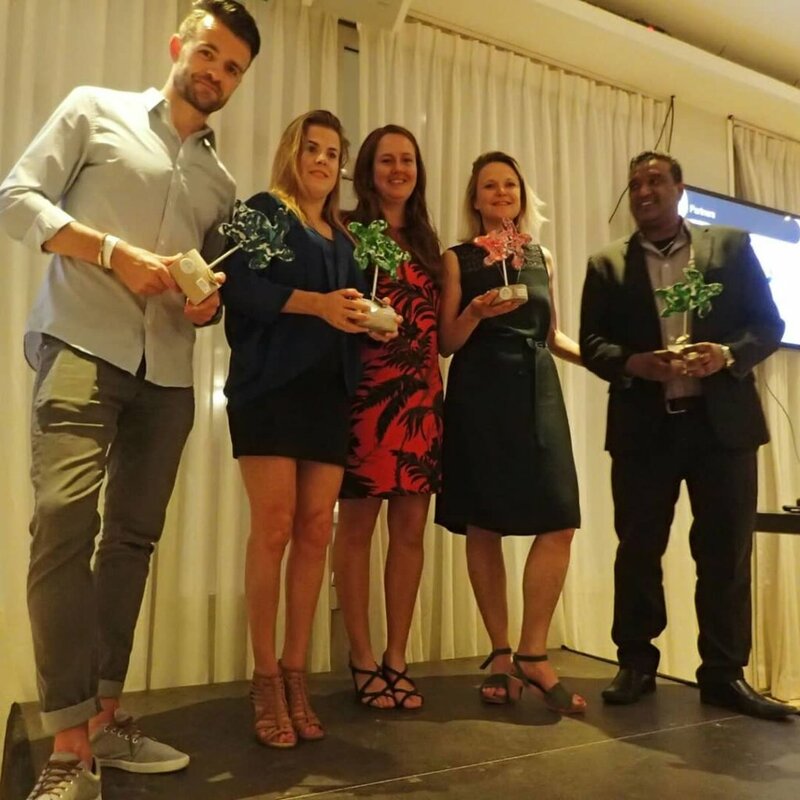 The founding of Green Phenix as a social enterprise was explained and partners like LIMPI, Green Force, 2ndlife Curacao, Dresscode010 and BA3d printing were recognized. 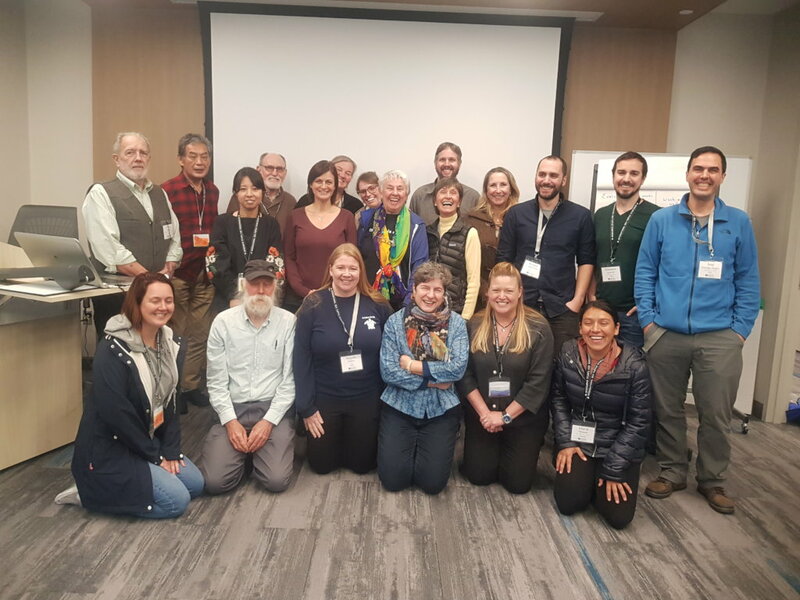 During the award ceremony the grassroots conservation award was the last award that was announced, following the lifetime awards in which several conservation heroes were recognized, like Jeffrey Miller, Rod Mast and Wallace J Nichols. Obviously the results of STCC would not have been possible without the amazing support of the fantastic volunteers and partners, so the award was dedicated to them. 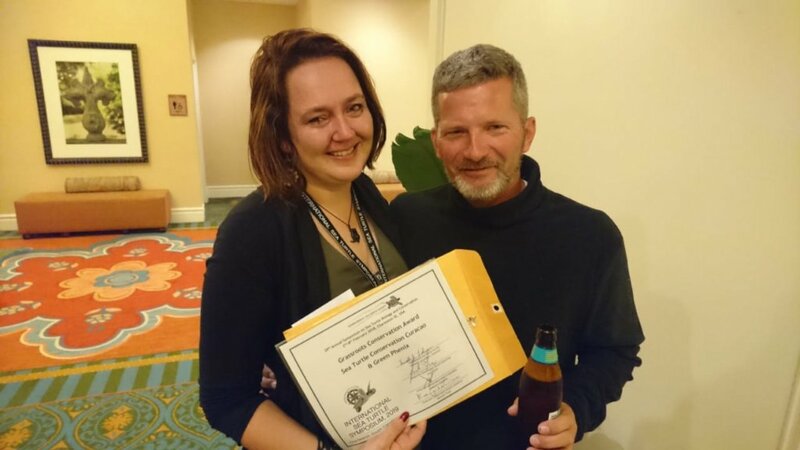 Receiving the Grassroots Conservation Award is a huge honor! 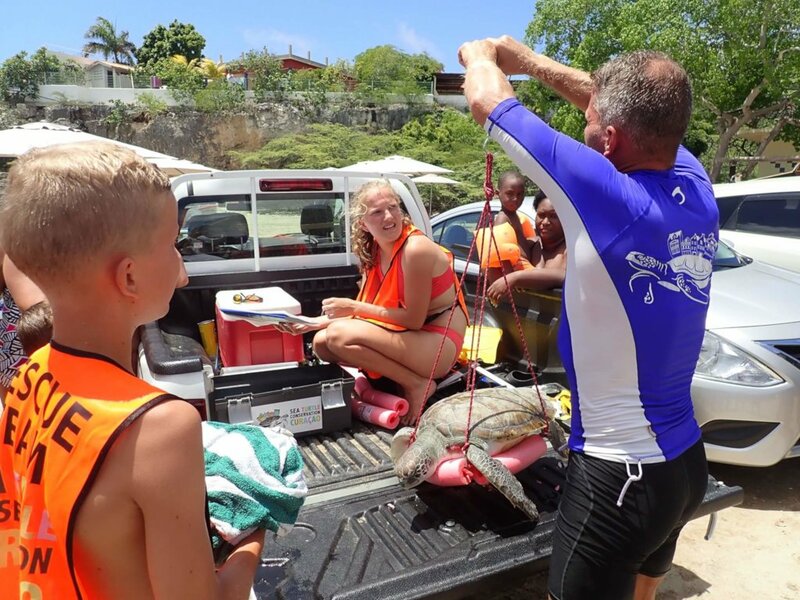 Futhermore we had to perform quite a few number of turtle rescues, because of hooking and entanglement incidents. Fortunately we have a very motivated and proffesional team, who have been able to save 100% of the turtles that were reported as hooked. 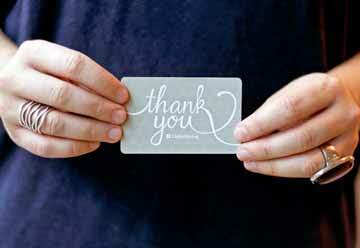 A huge thanks goes out to all the people supporting our work. We could not do it without you! Three months into the 2018 nesting season. The turtles started a little late this season, but they are finally pretty active now. Last week we had an unexpected hatching at Kokomo beach of a Loggerhead nest. The first group of baby turtles came out during the day. The second group came out 2 nights later. The staff of Kokomo was really helpful and they turned out the lights, so that the newborn turtles would not be disoriented by the lights. 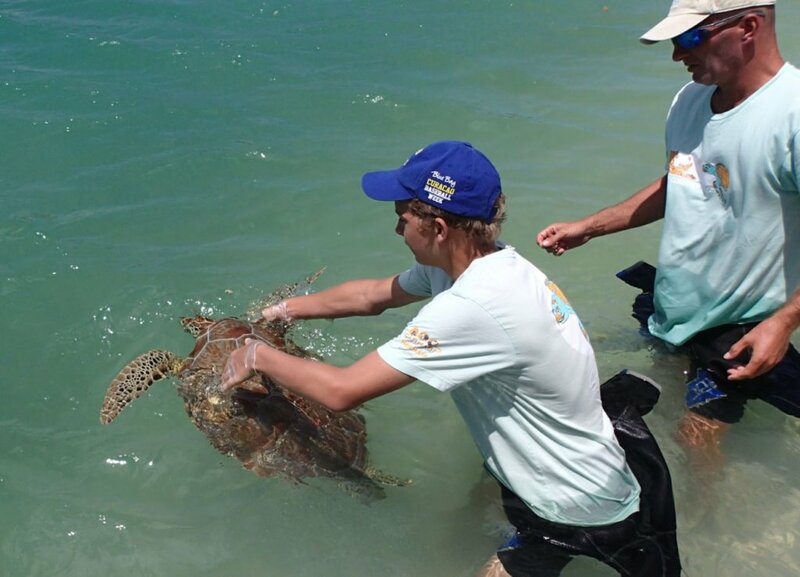 So far we registered nests of loggerheads and green turtles. We’ve had 8 nests adopted this season so far. We are aiming for 30 per season, so we still have a few to go. 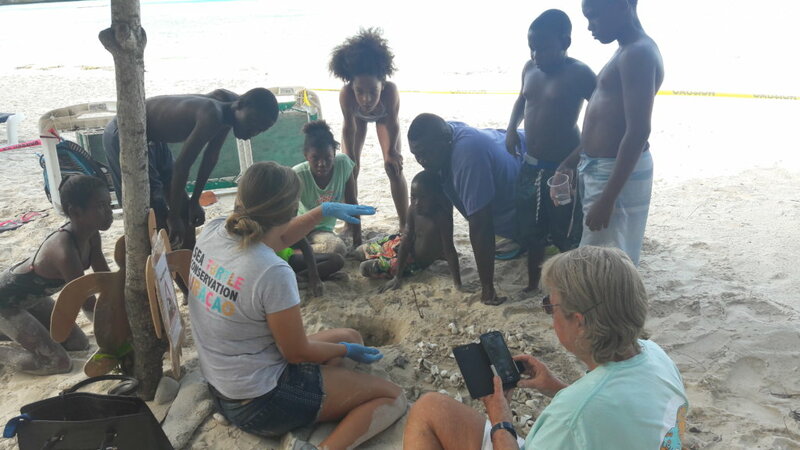 A nest adoption enables us to check the nest beaches 3 times a week, register all the nest activities, check nests 3 times a week during the incubation period and do an excavation after it has hatched. Each nest has around 100 hatchlings in it and takes us on average 96 hours. 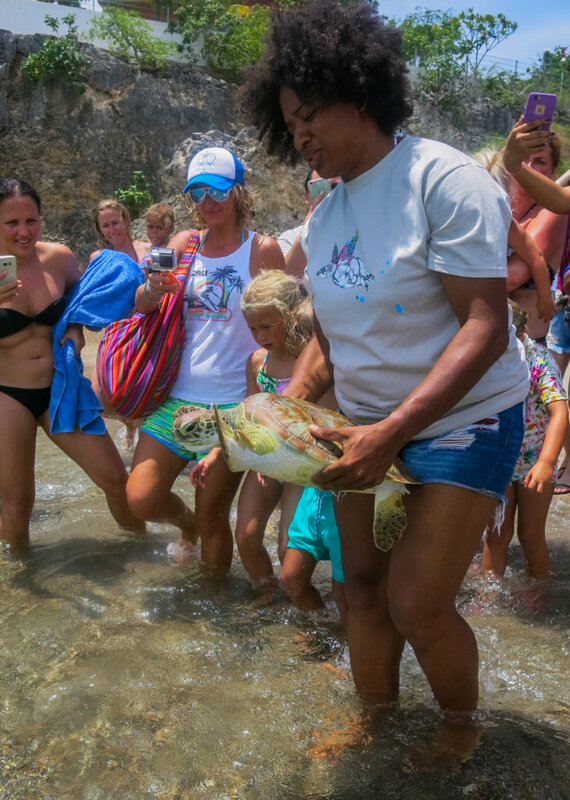 In the last 3 months we did 8 turtle rescues. Mostly entanglement and hooking cases. 2 of our resident turtles were spotted with injuries that most likely were cause by collision with a boat, but they seem to be recovering slowly but steadily. 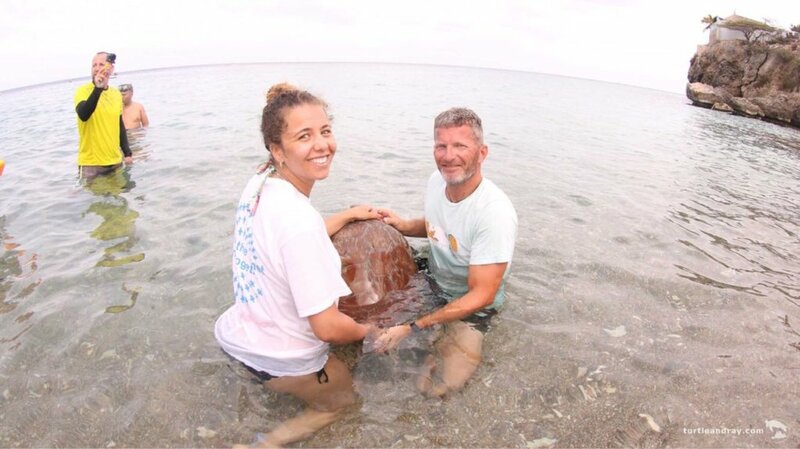 Releases are usually done publically, because we feel it is a chance to educate the audience about sea turtles and the threats they face. STCC is one of the participants in ‘Present your Startup’. 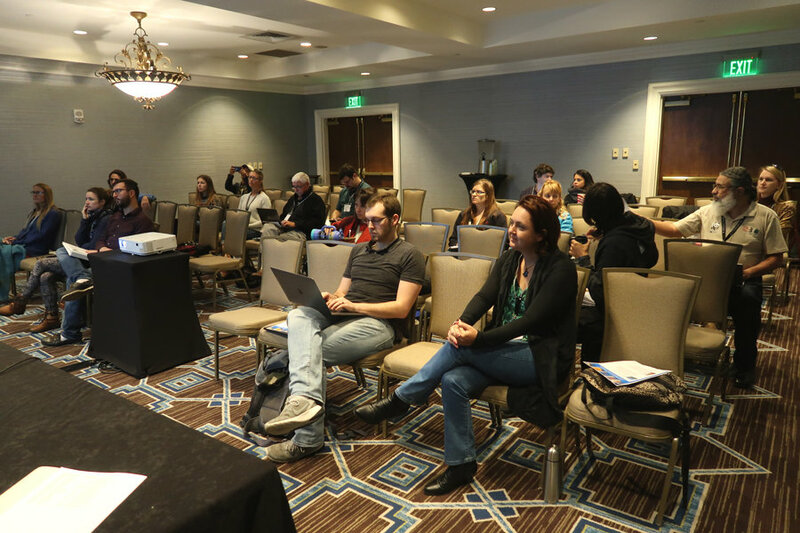 We thought it could be an educational experience to present our ideas for a different audience and get some valuable insights from fresh perspectives. And we did! 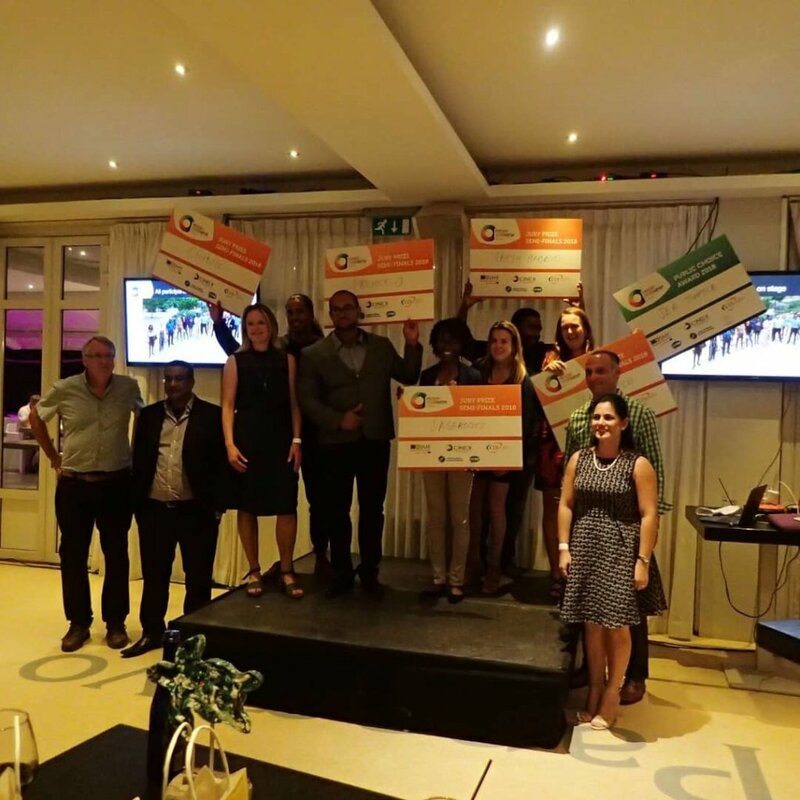 In the semi-finals STCC won the public’s choice award and also got a place in the Caribbean finals which will take place the 29th of August. To practice for the Caribbean finals Sabine Berendse thought it would be a good idea to get some extra practice. She participated in a pitch competition in New York City in June, where she won the first prize. 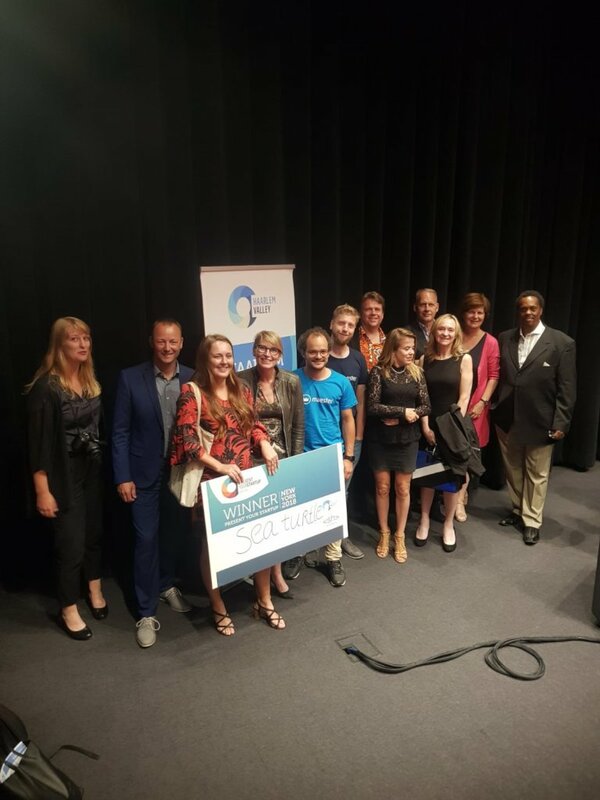 This price means that she has a guaranteed spot in overall finals of Present your Startup in the Netherlands in November. 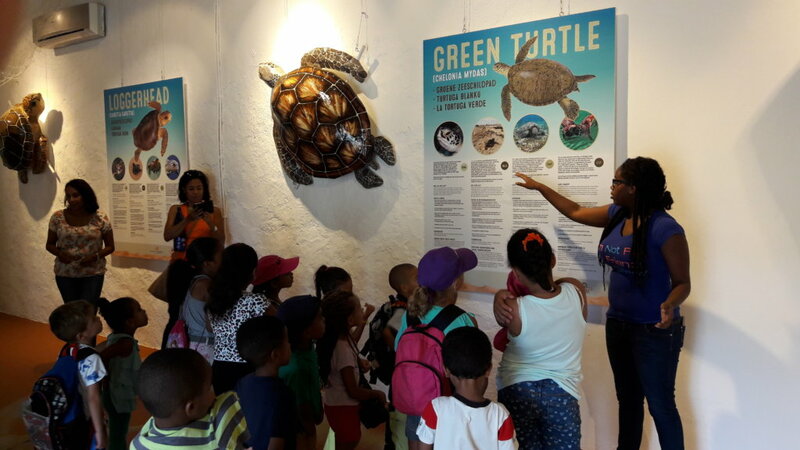 The increasing number of visitors at Playa Piskado is a great concern and we are working towards a collaborative project of a visitor and information center, to reduce the threats to the sea turtles and to regulate the visitor streams and behavior. Green Phenix is a social enterprise that turns plastic waste into valuable products. 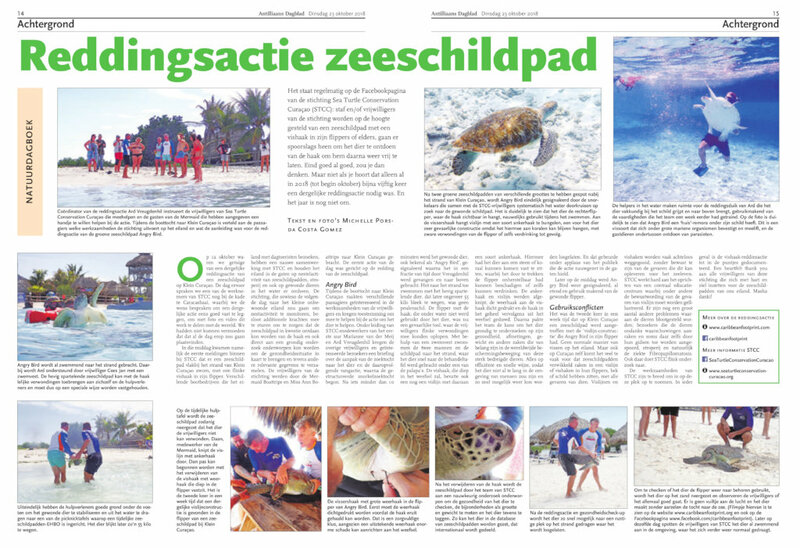 It joins forces of Sea Turtle Conservation Curacao, Limpi, 2nd Life and Green Force to stimulate inclusion, reduce poverty and prevent plastic pollution. 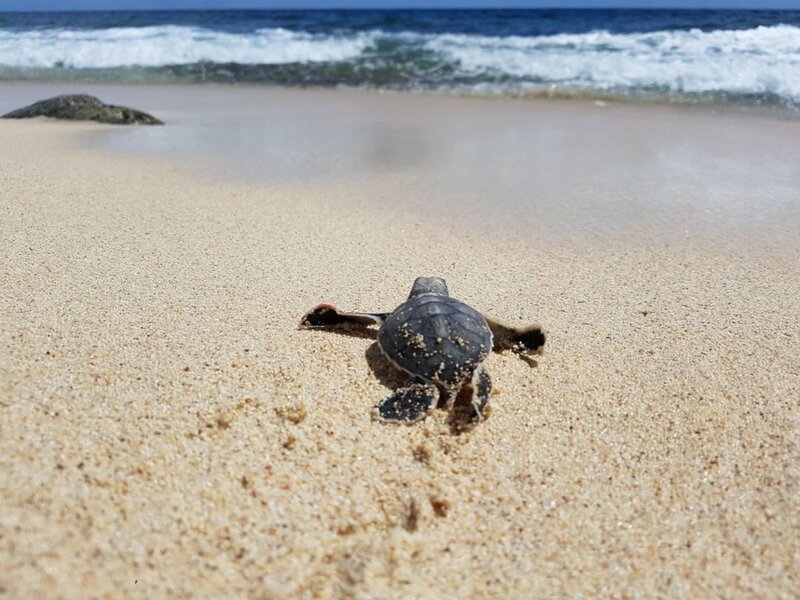 Part of the profit of Green Phenix will be donated to STCC, so that they will get a more stable financial basis so that they can continue doing their important work of protecting sea turtles and their habitat. The last few months we had an increase in the number of “day volunteers”. 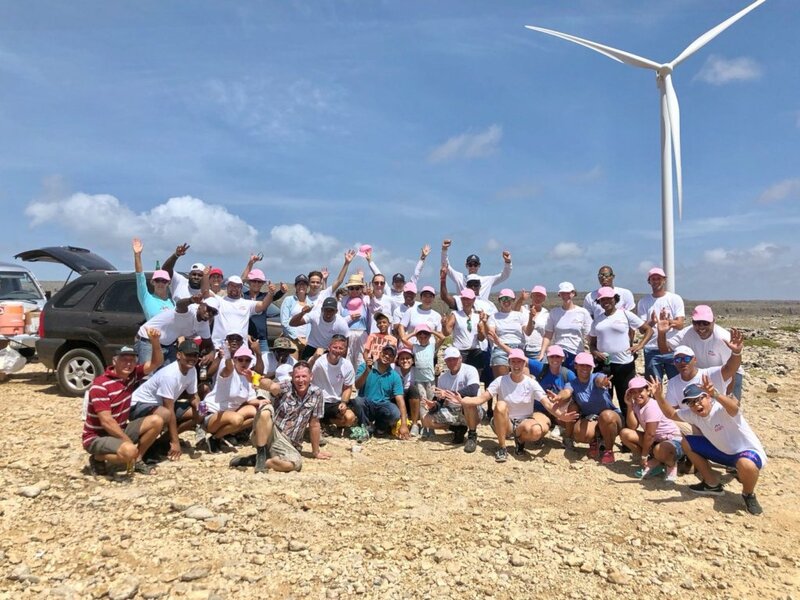 People that visit Curacao for a holiday very often offer to help with volunteer work for a morning. The extra hands help us to increase our impact. We also had some groups come out for a day. 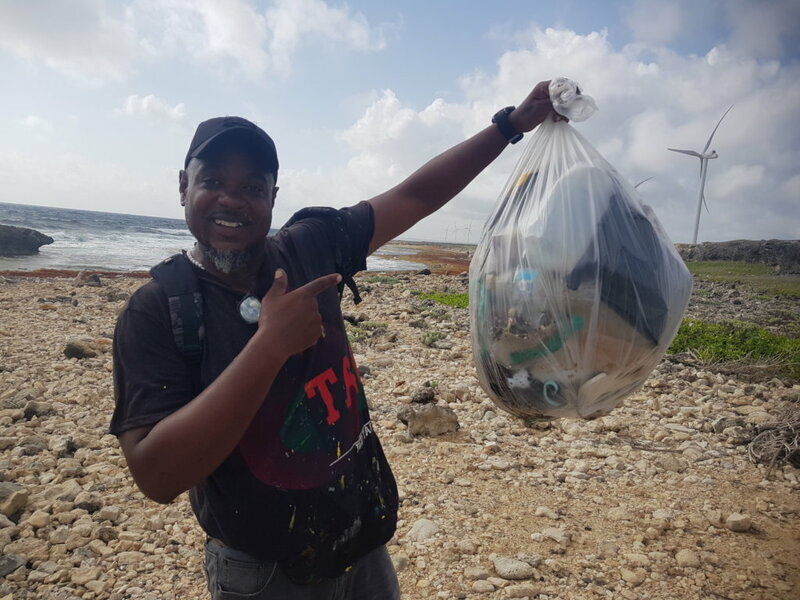 Overall we cleaned around 4800 kg of marine debris from the beaches in the last 3 months. In this endeavor we have had great support form NuCapital, who enabled us to adopt 4 inlets in the San Pedro area. We are still working really hard to generate some income so we can continue to do our important work. The donations we receive have increased somewhat, but our financial situation still only insures 2 more operation years. 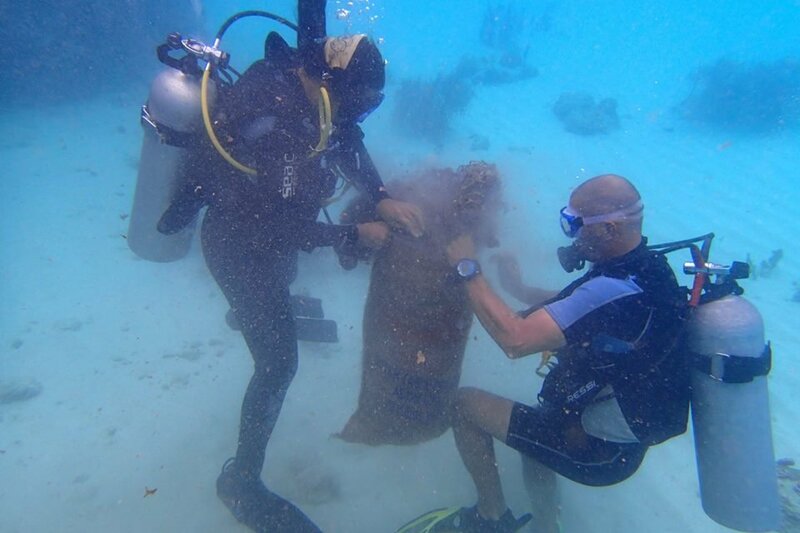 We aim to create a more stable basis, by generating divers income streams. We made several grant proposals to companies to support the fibro papillomatosis research. So far without success. We did manage to get donations to acquire the needed materials and a special net is being produced and should be with us shortly. We expanded the “recycled plastic” merchandise range. In May we introduced the turtle keychains. 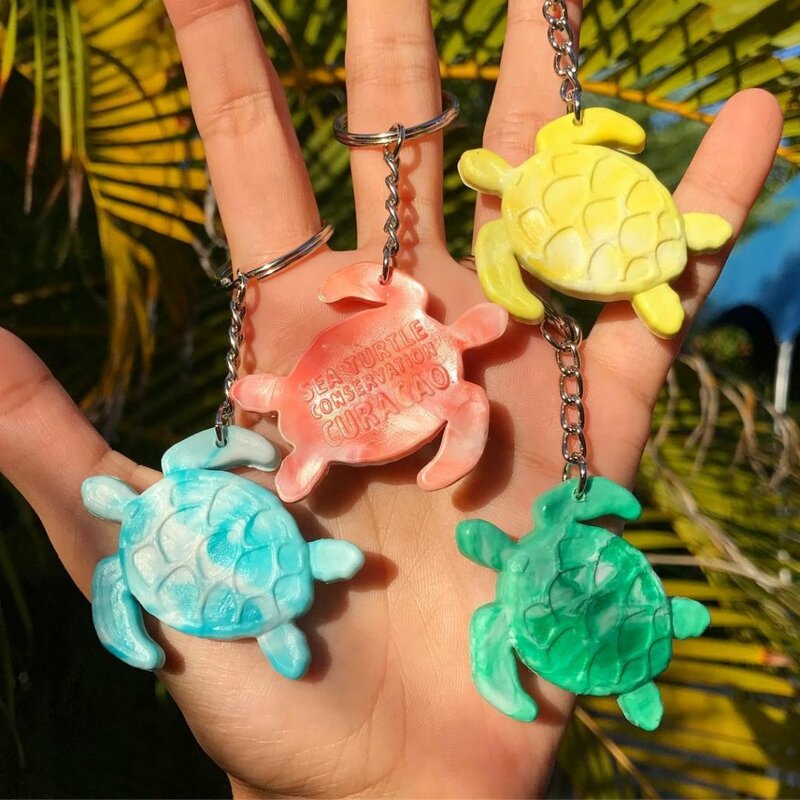 These keychains are made from recycled plastic and they help prevent plastic from entering the oceans. 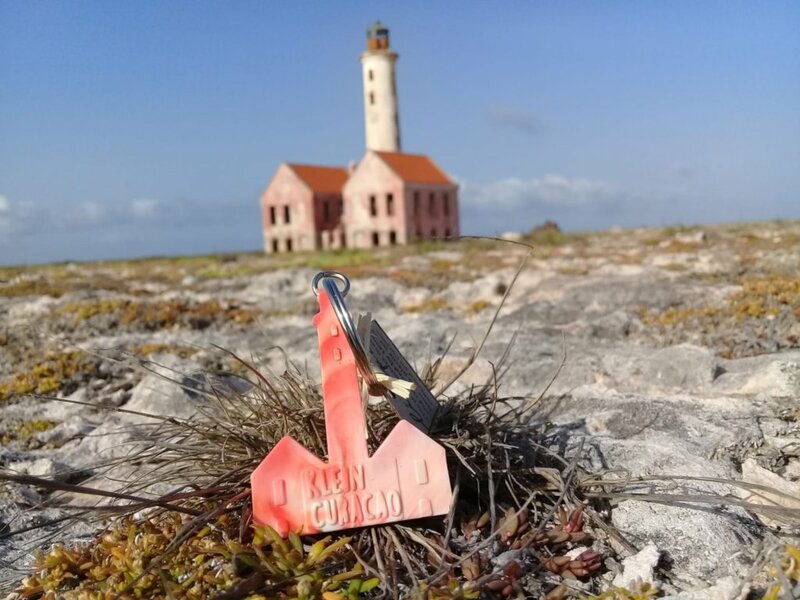 In July Limpi introduced the “Curacao keychains” and in August Green Phenix introduced the “Klein Cuarcao Keychains”. These last 2 items provide a nice souvenir for a broader audience, increasing the sales and therefor the impact. We are very grateful to everyone that supports our project financially, with materials or mentally. Being able to contribute to the survival of endangered species and helping to make the world a little bit better is a good motivator, but knowing we are not alone is very much appreciated. So a sincere THANK YOU to all of our supporters. 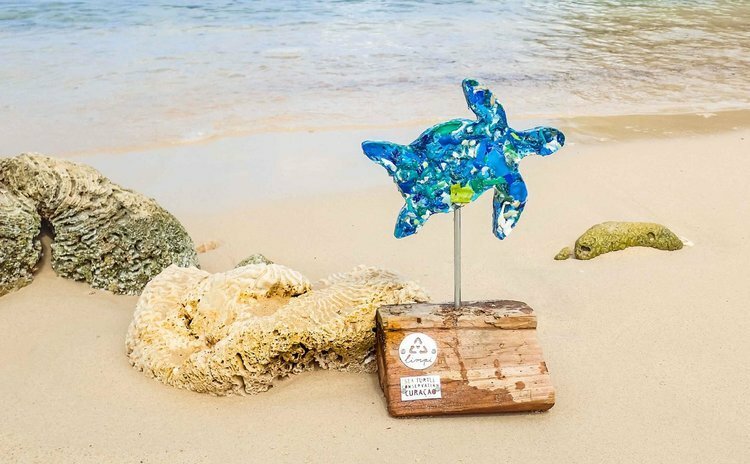 One of the activities STCC undertakes to generate income is selling merchandise items made from marine debris/ recycles plastic. 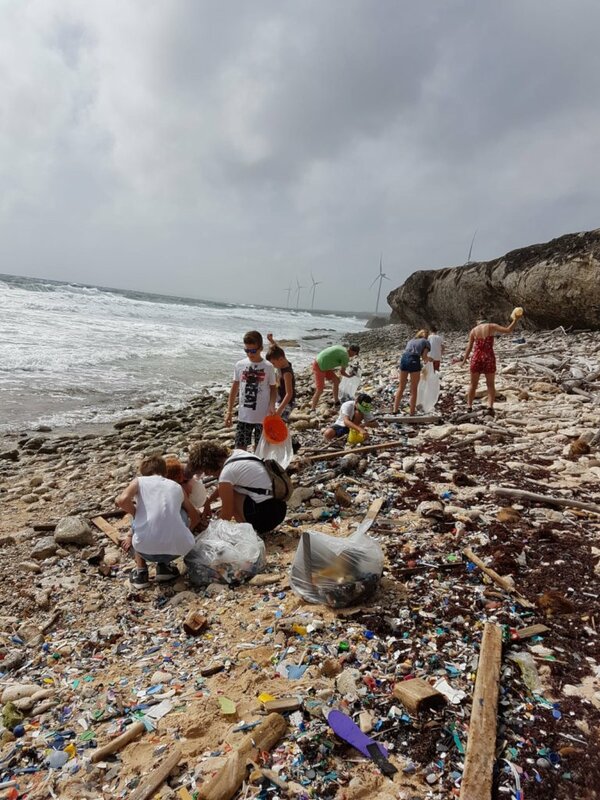 Volunteers clean marine debris from the beach during the monitoring checks and the reusable plastic is brought to our partner LIMPI. They transform the plastic into new high quality items. The first product that we developed was the ‘Turtle Buddy’. A small plastic sculpture on a driftwood stand. We started with 10, which we sold in a day. Then we ordered 20, which we sold in a week. All the money we earned with the sales were reinvested in the production of more buddy’s. Now they are sold in 10 different shops. We received feedback from the shops, that although lots of people liked the idea, not all of them actually bought a ‘Turtle Buddy’ because it takes up a lot of space in the suitcase. That is why we experimented with the ‘Hanging Buddy’ in 2 different sizes. We started in the same way, by only creating a few. But unfortunately they didn’t sell at all. The reason for this item to fail was that the customers didn’t feel they got enough value for money. It wasn’t possible to make them a lot cheaper than the original turtle buddy. After the first batch was unsuccessful we stopped with the production. We still had the feedback that people wanted to contribute by buying something small and that is why the keychains were created. A small very well designed plastic turtle that can be offered for a relatively low price. In the near future we will expand the number of items and we will also sell the products at additional retailers, so we can make an even bigger impact and also work to a more stable financial situation for STCC. 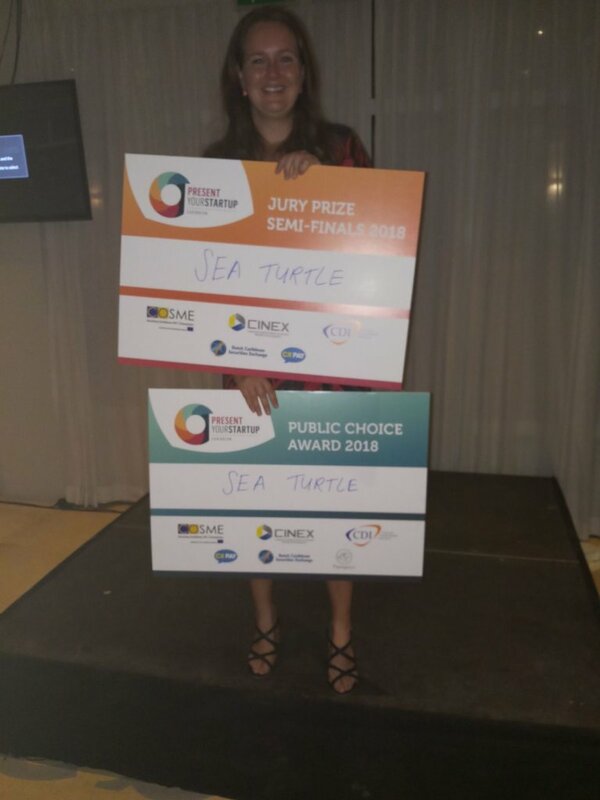 Thanks to the "Present your startup" workshop in which Sea Turtle Conservation Curacao participated May 7, 8 and 9 we now have a 3 minute pitch to interest potential investors. 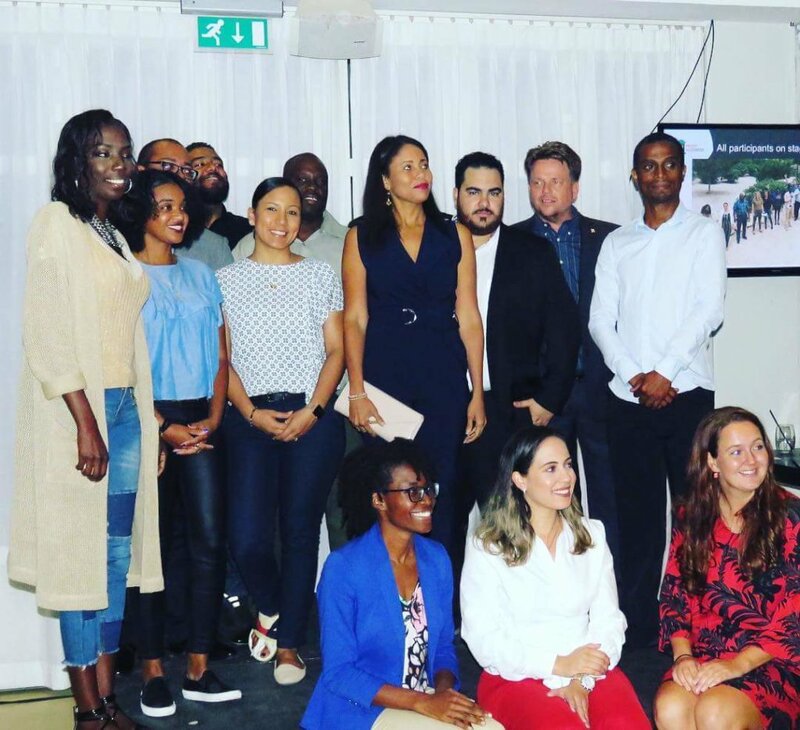 With this pitch, STCC won the 'Public Choice Award 2018' and 1 of the 5 Jury prizes which guarentees a spot in the Caribbean finals in August. How much is a clean and healthy ocean worth to you? We believe a clean ocean is priceless. But the sad reality is oceans are filling up with plastic and toxins and if nothing changes there will be more plastic in the sea then fish by 2050. 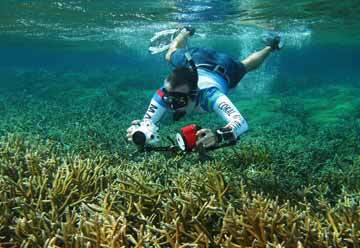 Our NGO has 3 pilars: RESEARCH, CONSERVATION and EDUCATION. 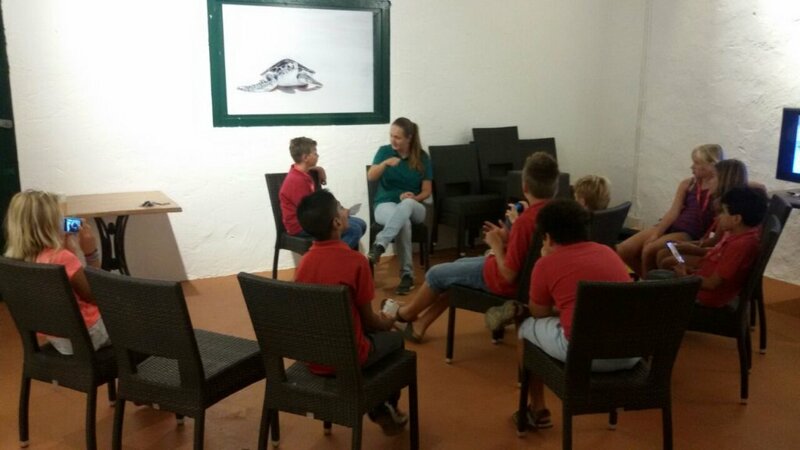 In total our activities reached well over 150.000 people. 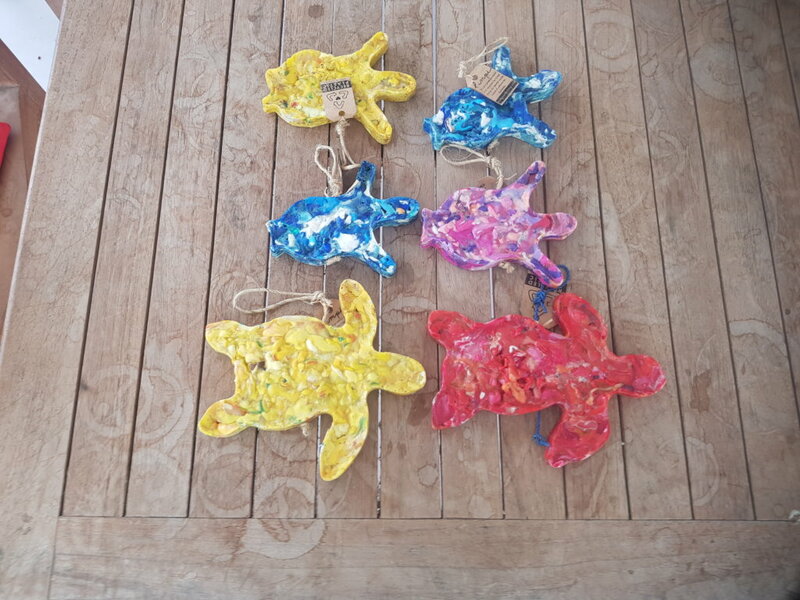 Since august we have been selling merchandise items made from marine debris. So far we sold 1500 items with a value of 36K ANG. There is still a huge growth potential since we are not jet offering our prodects to cruise tourists and at hotels. And so far we only have been making turtle related products. 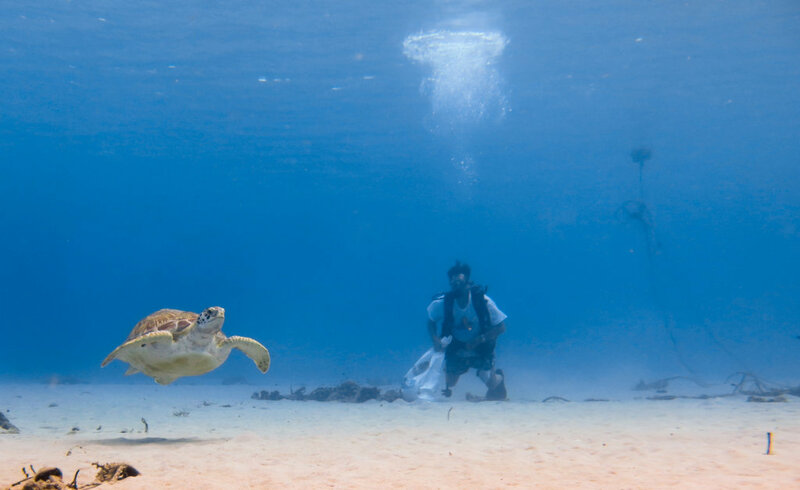 Without any marketing we were able to do 200 turtle experiences. With our expertise and followerbase there is a huge potential market these touristic products. Especially if we would partner with existing tour companies. 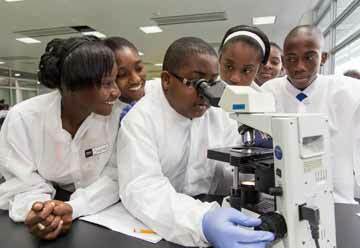 Also our current logistics is highly suitable for scientific and educational tourism. 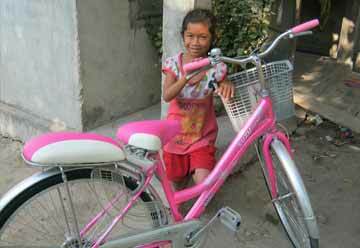 That would not only generate income, but will also give us additional hands. We already offer different adoption programs. 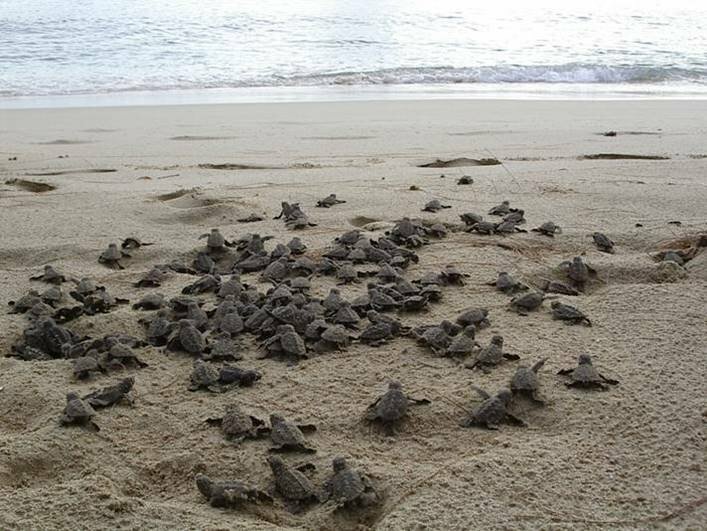 This year we aim to get 30 nests and 30 turtles adopted. We are also looking for strategic partners. These partners would ideally be willing to make a 3 year commitment to support us with either money or services in exchange for good exposure. Maybe you are our future partner or maybe you can introduce me to someone that might see us as an interesting partner. Futhermore I would love to get at least 5 sea turtle nests adopted tonight!- $600 dollars a nest – which helps protect 100 baby turtles. Together we can make a change. So I’m hoping you will support our cause. 6 nests were adopted and some promising contacts were made. The "present your startup workshop" was extremely valuable and gave us a different perspective on STCC. Although we have been identifying ourselves as an NGO, it seems we are making a shift to become a social enterprize. This seems to be a good business model to make STCC sustainable.